2015 Quadro Oxygen3 Evo. Picture credits - Quadro. Submit more pictures. OXYGEN3 Evo represents at its best the development of electric technology applied to a three-wheel scooter. The features of Quadro products are perfectly combined with the needs of a zero emission scooter, offering large suitable space for batteries and without no impact on the riding experience. Comments: Two front wheels. Windscreen. Ask questions Join the 15 Quadro Oxygen3 Evo discussion group or the general Quadro discussion group. Bikez.com has a discussion group for every motorcycle. Here you may find answers to common questions about the model. If you do not find what you are looking for, you can ask questions. 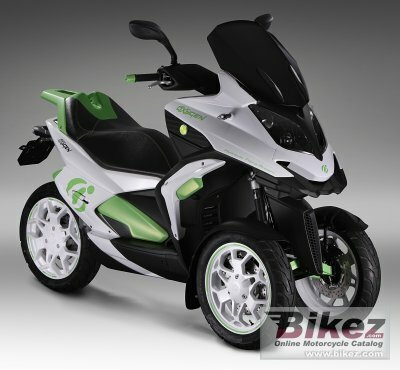 Try out the 2015 Quadro Oxygen3 Evo discussion forum. You can sign up for e-mail notifications when other users answer you. If you have information about any technical issue related to this motorcycle, please leave a comment for other riders.